Every Wednesday we have this routine of baked potato and pizza night, it’s a quick easy meal to make whilst I get on with other things around the house, at the moment desperately trying to finish off coursework. 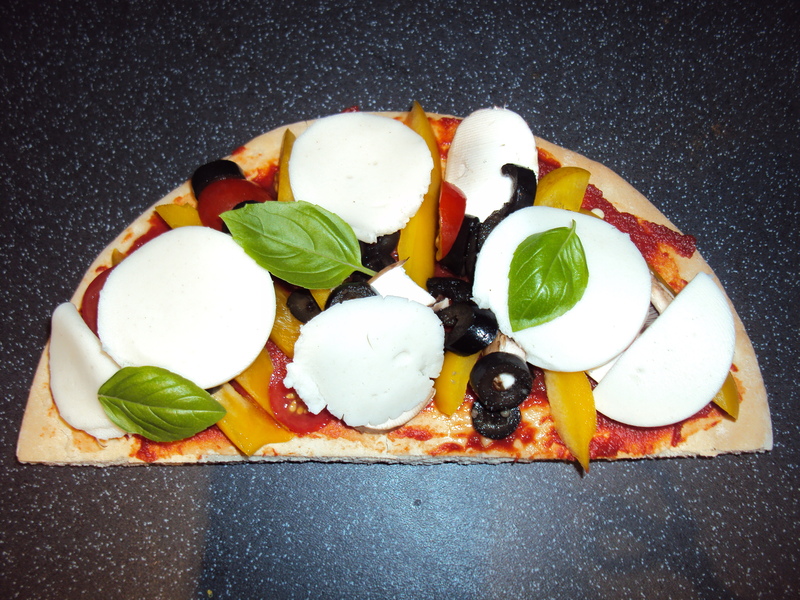 I have had varying success with pizza, different vegan cheeses are good and not so good in their own ways, and can be quite an expensive bit of trial and error. Whilst my favourite cheese taste wise is from Vegusto and Violife, I still haven’t quite had the same gooeyness from pre-vegan pizza cheeses. 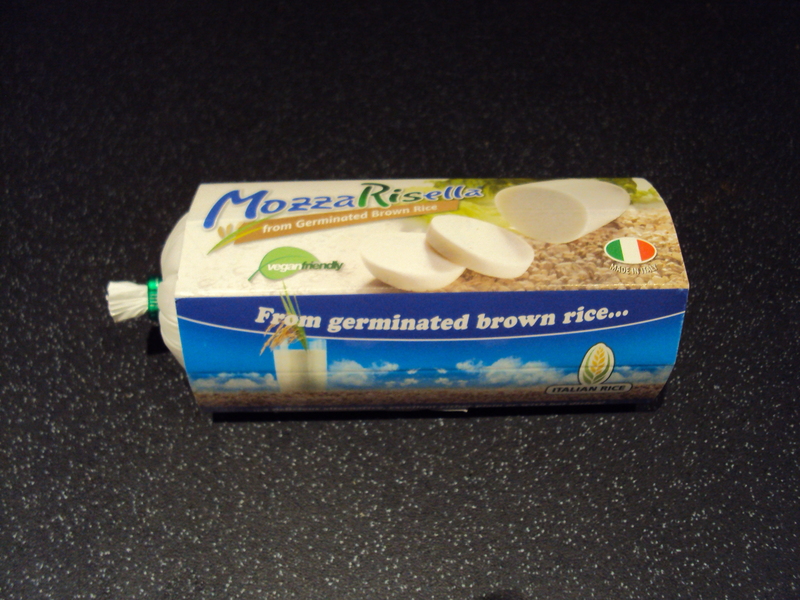 MozzaRisella comes in a little sausagey tube, and it’s easy to slice, just like regular Mozzarella, although it doesn’t tear or stretch the same way. Before cooking/melting, it’s got a mild creamy taste, nothing that strong but pleasant. I think it would go nicely in a tri-colour salad, particularly with Taifun Basil Tofu, which is really yummy uncooked. And the end result! I made my own coleslaw with Plamil Organic Egg Free Mayo, and topped my potato with hummus and Vitalife spread for a buttery taste. MozzaRissela was amazing! It doesn’t stretch out, so don’t expect stringyness from it, but it is a lovely creamy flavour on the pizza. 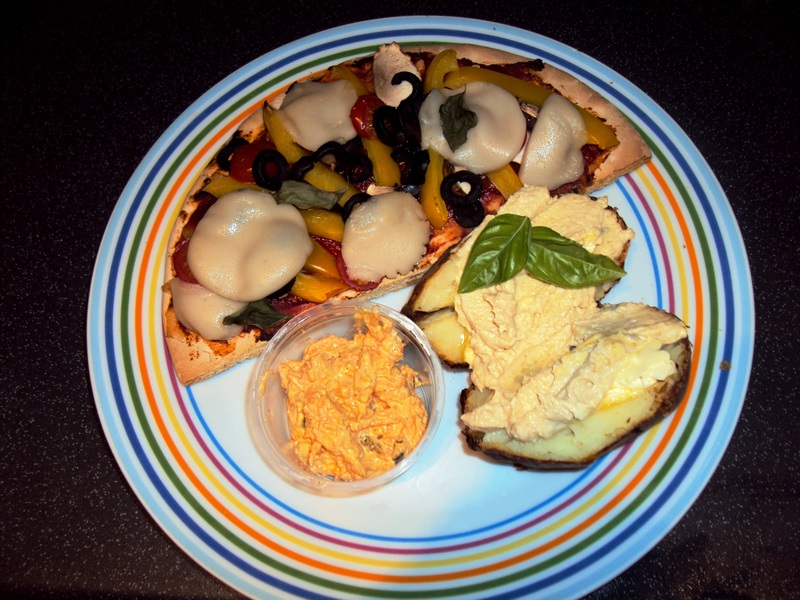 I have really missed that extra creamyness from Mozzarella on pizzas, and whilst other vegan cheese have dried up in the oven, or left a vinegary/strong artificial taste in my mouth this was just creamy loveliness! It also doesn’t have any stickyness, like the Violife slices have when they melt. MozzaRisela is just perfect for adding a bit more creamyness and goeyness, making vegan pizzas just as delicious as regular pizza. Can’t wait for the next use, I may add a bit of nutritional yeast or Vesgusto’s Piquant for a stronger cheese flavour to get the perfect pizza. I also think this stuff would be great in vegan lasagne, creamy sauces, pastries and any other meal that could do with adding more cream or texture without an overpowering flavour.